” While Obama and Kerry were pressuring Israel to free terrorists to keep the terrorists of the Palestinian Authority at the negotiations, Israel was breaking up a terrorist plot targeting the US embassy in Tel Aviv. Israel’s Shin Bet security agency revealed on Wednesday that it had arrested a terrorist unit that planned to blow up the Jerusalem convention center and the US embassy in Tel Aviv. Cessation Of Hostilities Or Just Time To Restock And Reload ? Did The Qatari Emir Betray Hamas With Gifts And Tracking Devices? 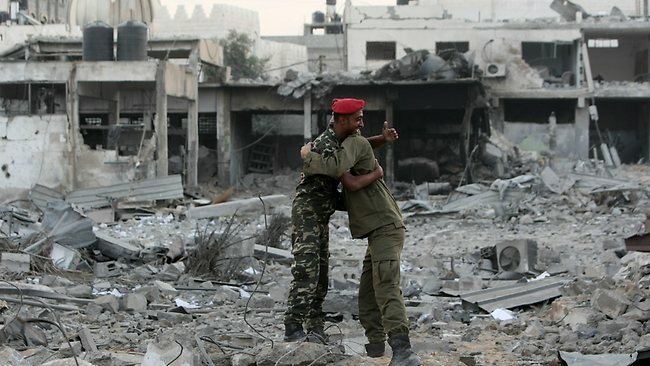 ” Like many militants in the Gaza strip Ahmad Al Jabari was rarely seen and he did not like to be photographed, when he personally escorted abducted Israeli soldier Gilad Shalit to freedom as part of a prisoner exchange, it was a rare look at the senior commander in the Hamas organization. 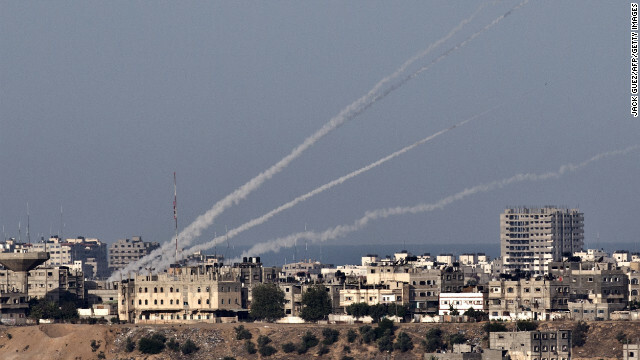 ” Two major Israeli newspapers are reporting that rockets fired from Egypt have hit Israel.